Tundra #2 from Dutch Passion are autoflower cannabis seeds that will become beautiful cannabis plants that contain mainly Indica genetics. 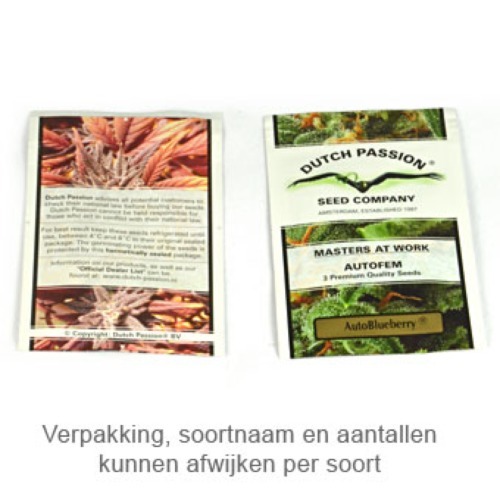 Dutch Passion Tundra #2 cannabis seeds are suitable for an outdoor and indoor grow. These cannabis plants produce a huge amount of buds, which are covered with a layer of THC. This cannabis has a delicious flavor and has a fresh and sweet orange smell. The effect of smoking this weed is a nice solid high with a seductive taste. If you have any experience with cultivation weed, try this autoflower seeds, the results are great. Tell us and our customers what you think of the Tundra #2 from Dutch Passion.